Selected as Party of the Day on December 9th! 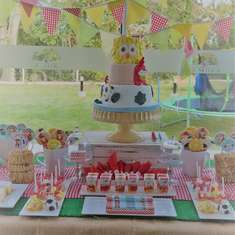 Ten little friends were invited to swish their tails, roar and stomp their feet to celebrate Louis’ 3rd Birthday party. Why a dinosaur party? Because what 3 year old boy isn’t an adventurous dinosaur lover! This wasn’t just a party with birthday cake, balloons and treats! (Although it did have lots of that!) 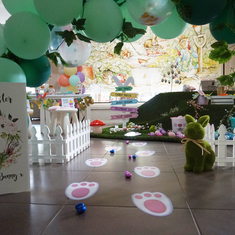 The party also set the stage for dinosaur adventure and activities full of dino-fun! There was a Dinosaur Skeleton Dig, Feed T- Rex Ball Toss Game, playdough with dino-stamps, make your own Peg- Stegosaurus, Dino- Tattoo station, and Dino- tails to do the Dino- stomp dance! 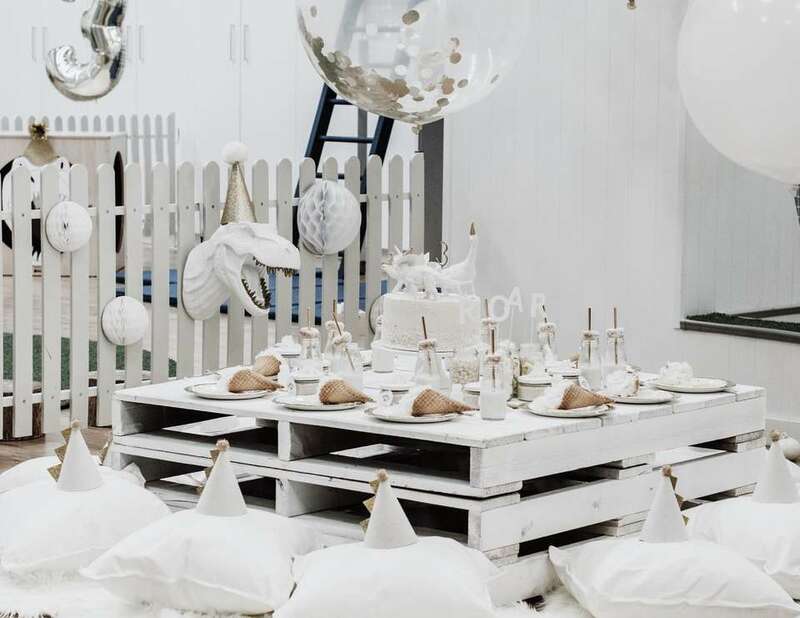 With custom made dino- details along with DIY projects all coming together to bring this white and gold roaring party a stand out - from any other dinosaur party in dino- history! My tip for any party is to not only WOW your guests with a spectacular set up to warrant use of the heart eye emoji to be used on repeat! 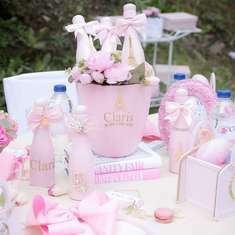 But also ensuring little guests are entertained with activities. 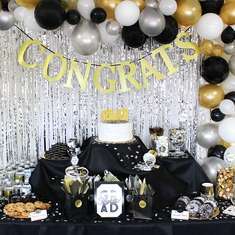 A party shouldn’t just be about blowing up balloons and eating cake, but providing a unique and fun experience that will long be remembered after the candles are blown out!